Rich Americans. That's our global reputation. The numbers seem to back it up. Americans' average wealth tops $301,000 per adult, enough to rank us fourth on the latest Credit Suisse Global Wealth report. But that figure doesn't tell you how the middle class American is doing. 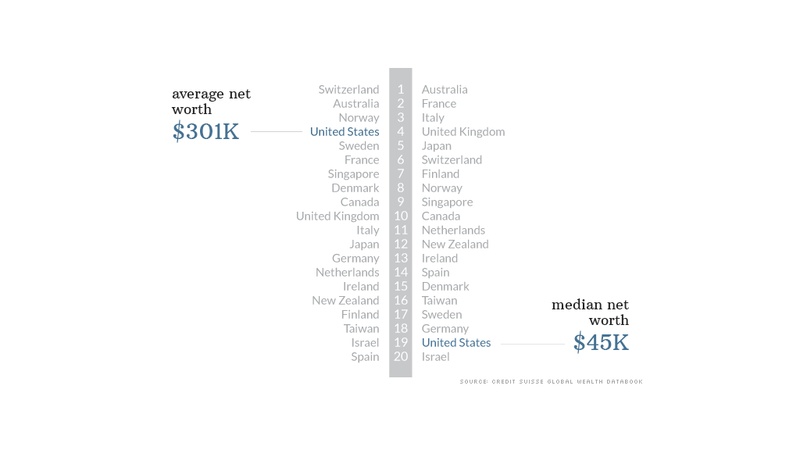 Americans' median wealth is a mere $44,900 per adult -- half have more, half have less. That's only good enough for 19th place, below Japan, Canada, Australia and much of Western Europe. 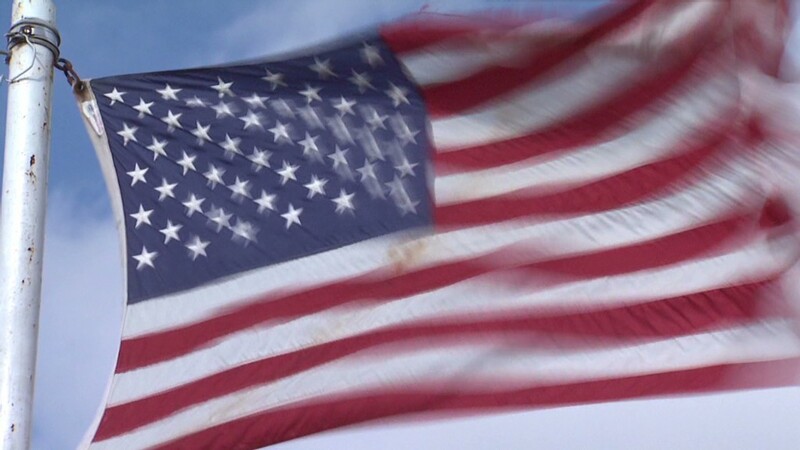 "Americans tend to think of their middle class as being the richest in the world, but it turns out, in terms of wealth, they rank fairly low among major industrialized countries," said Edward Wolff, a New York University economics professor who studies net worth. Why is there such a big difference between the two measures? Super rich Americans skew average wealth upwards. The U.S. has 42% of the world's millionaires, and 49% of those with more than $50 million in assets. Related: Where in the world are the super rich? This schism secures us the top rank in one net worth measure -- wealth inequality. There's one main reason why the average Spaniard or Italian has more to his name than the typical American: real estate. Home ownership rates are higher in many European countries than in the U.S., giving Joe European more assets to his name than his American counterpart. Plus, it's easier for Americans to borrow money, which eats away at their net worth, said Jim Davies, an economics professor at Western University in Ontario, Canada, and co-author of the Credit Suisse report. Middle class Americans were also hurt greatly by the housing collapse at the end of the last decade. The median wealth of families was $77,300 in 2010, a nearly 40% drop from 2007, according to Federal Reserve statistics. "Changes in home prices have a big effect on the wealth in the middle," Davies said. Middle class Australians, by comparison, are leading the pack. The country's residents have the highest median net worth, coming in at $219,500. Australia also has low wealth inequality. This is in part because Australians have a strong tradition of home ownership, though escalating prices have made it tougher for young adults to secure the Australian Dream. Those down under also have a mandatory retirement savings program, where they must squirrel away more than 9% of their income for their Golden Years, and they carry relatively low credit card and student loan debt. Americans, meanwhile, are having trouble building wealth because wages have stagnated for more than a decade. Median household income was $51,017 in 2012, compared to $56,080 in 1999, according to the Census Bureau's most recent statistics. There are many reasons why middle class incomes are suffering, including the decline of unions' power, the shift of jobs overseas and the increasing use of technology in the workplace, said Kenneth Thomas, professor of political science at University of Missouri, St. Louis. Also, Americans have to pay more out of pocket for basics, such as health care and higher education, reducing their ability to build their nest egg. "Middle class families haven't been able to save anything," Wolff said.